Never Rushed, Environment of Healing Care. I know you will feel very comfortable, welcomed and cared for at our Montgomery Ranch. My office offers a peaceful environment, where it is very typical to receive up to an hour for your personal treatment with never any wait time. Why get Chiropractic care? Well when one or more vertebrae lose their normal position, they can interfere with the nerves response from your mind to your body. When that occurs you may experience the muscle contract. This acts as a protection of those vital nerves that supply stimulation to your body and allow it work, and function as it should. This interference or Subluxation, can cause pressure, pain, irritation and over time even dysfunction to your body. 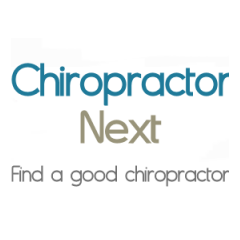 Chiropractic treatments offer a precise method of adjustments to the Spinal vertebrae. Once the spine is in alignment and has gain its normal movement, the muscle spasm will reduce naturally, because it is no longer required by the body as a protection device. Animal Chiropractic is Also a provide service here at our ranch. So that You and Your Best Friend can Fell and Function as well as you go, with Chiropractic Care of course. Chiropractic is the #1 Choice in Alternative Healthcare … Originated in America, in 1985. I have been serving patients needs since 1982. Welcome, since you found this site it is probable safe to assume you are looking for an alternative for the reduction of your pain. Or maybe you were referred to this site in the hopes of finding a painless non-needle way of reducing your hypersensitivity of an allergy? Or perhaps you have tried nutritional programs that have worked for everyone you know, but did nothing for you. "She has truly been a blessing to me with her concern, compassion, and intense examination skills. I had been going to the foot doctor for four years to no avail. The pain was so bad I couldn't walk for very long without sitting for a rest, let alone dance. But after seeing her I sure can dance, and walk without any pain." "At age 12 I competed on the swim team only to be disqualified from what they called an "illegal kick" I had been to dozens of chiropractors and nobody was able to fix my hip. I was referred to Dr. Rivers by my Medical Doctor. a After a series of adjustments some recommended nutrition and elimination of a few very bad allergies, for the first time in my entire life I can swim properly with no hip pain!!!!" Cash, check, credit cards. Will provide a receipt for your reinbursement from your Insurance Company. Hours:By Appointment Only Start At 10AM Work till we are done. By app. only of course!